Evie Komara is a seasoned licensed real estate agent who has been with the Eric Pruitt Team since December of 1999. She is a professional who strives for 100% client satisfaction, before, during and after the sale. Evie conducts her business with utmost integrity, respect, skill and reliability. She enthusiastically educates her clients on key aspects of the real estate process and diligently works behind the scenes to anticipate road blocks and overcome obstacles to make the process as stress-free as possible. Her clients value her keen business skills, dependable communication and in-depth knowledge of the housing market and communities within Northern Palm Beach, Martin and St. Lucie Counties. As a Buyer’s Specialist it is extremely important to Evie that your best interests are being served first and foremost and your needs are a priority. She also has experience and in depth knowledge of waterfront properties from Palm Beach to Hutchinson Island. Prior to her professional real estate career she was a Property Manager for a multi-million dollar company on the Island of Palm Beach for over 19 years that bought, renovated and resold homes. Evie has a Bachelor’s of Science in Criminal Justice from FAU and a minor in accounting. She has lived in the Palm Beach County area for over 50 years with her family and finds the extensive knowledge of the area to be a special asset in helping her clients to achieve their goals. 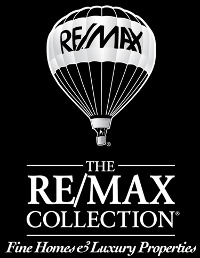 Evie is a Member of the RE/Max 100% Club and holds designations as Ceritified Luxury Home Marketing Specialist (CLHMS), Certified Buyer Specialist (CBS), Accredited Buyer’s Representative (ABR), Certified Negotiation Expert (CNE) and graduate of both the Mike Ferry Association and Howard Britton Realty Schools for Buyer’s Agents. Continuing to educate herself on the ever changing real estate market is a priority.